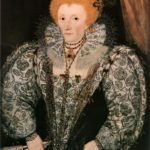 Queen Elizabeth (1533-1603) is one of the most famous women in modern history. She is famous for her intelligence and power, her self-confidence, caution, vanity and thrift. The Princess’s life was troubled from the day she was born. 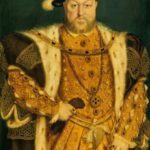 Henry VIII, her father, had changed the course of his country’s history, broken with the Catholic Church so that he could marry her mother, Ann Boleyn. He wanted to have an heir to the throne. The birth of a daughter disappointed him. When little Elizabeth was three years old her mother was executed, the girl was declared illegitimate and sent away from Court. Henry married again. His next wife gave him a son, Edward, and died shortly afterwards. 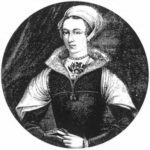 Katherine Parr, Elizabeth’s stepmother, brought her and her half-sister Mary back to court. The girls got a very good education. They studied history, philosophy, mastered Latin, Greek, Italian and Spanish. 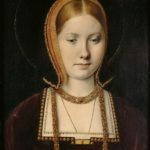 Elizabeth was 14 when her father died. Edward became a king. Very soon it was clear that Edward VII was seriously ill. The struggle for the crown began. 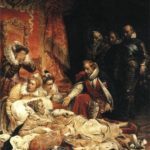 After Edward’s death Mary became the queen. 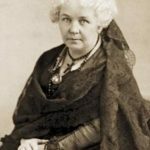 She was a Catholic and wanted to restore Catholicism in England. 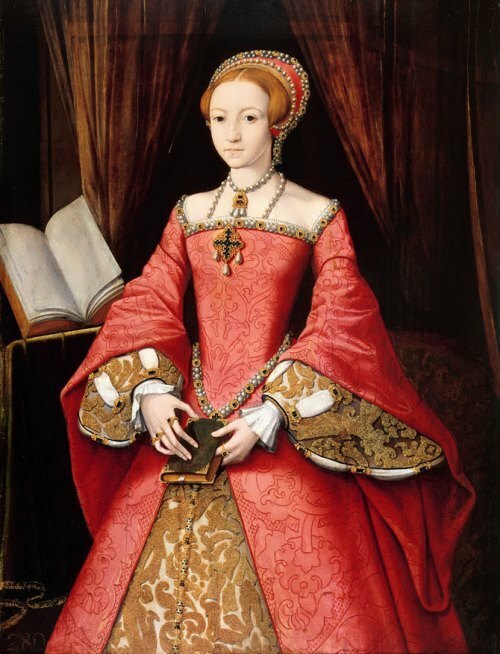 Protestants saw Elizabeth as a symbol of the new faith and several rebellions were made in her name. So her life was in danger. 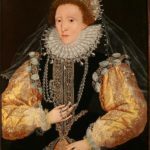 Mary even decided to imprison her in the Tower where Elizabeth spent two months. It is not a very long time, but if you expect death every day, sixty days can seem endless. 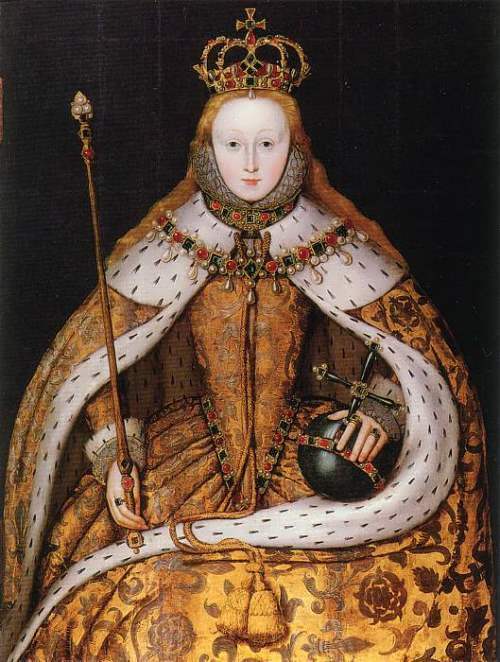 Luckily, Queen Mary became pregnant, and Elizabeth was released. However Mary had never had a child. 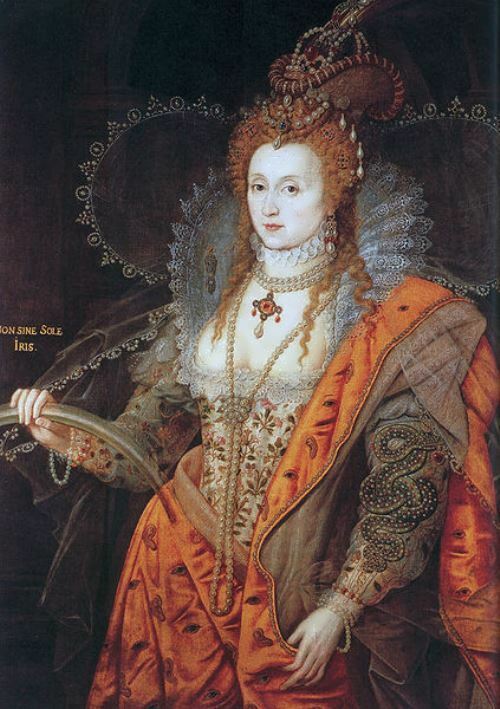 On November 17, 1558 the Queen died and 25-year-old Elizabeth took the throne. She inherited a poor and weak state, surrounded by strong enemies. 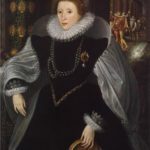 Her right to the throne was disputed by her younger cousin Mary queen of Scots. 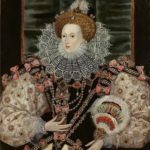 Catholics both in England and abroad thought that Mary was a rightful heir to the English crown. 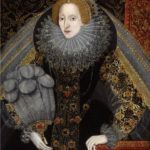 As a ruler of Scotland, Mary made mistakes and had to come to England, where Elizabeth put her under house arrest. After 19 years of imprisonment Mary was beheaded. 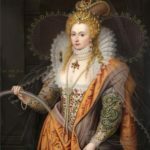 Elizabeth had a lot of suitors and liked to flirt with them. But she had no intention to marry any of them. 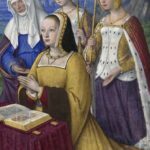 England needed an heir to the throne and the Parliament and her advisers asked her to marry. 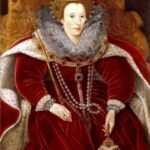 Probably Elizabeth did not want to marry because she could not forget how her father treated his wives (two of them were beheaded). There is a version that she was in love with Robert Dudley all her life, but he had a wife. They say that dying she whispered his name. 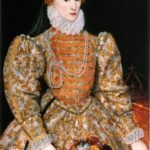 In foreign policy Elizabeth tried to avoid wars, but she supported and sponsored raids on Spanish ships and ports. 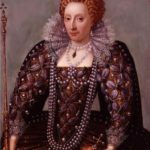 Her pirates took gold and silver from the Spanish ships and at the same time she continued peace talks with the king of Spain. When Elizabeth rejected a marriage proposal from Philip II of Spain, the indignant king sent Armada (Spanish fleet) to raid England. The English ships defeated the Armada and England became the world’s strongest naval power. It was the greatest moment of Elizabeth’s reign. 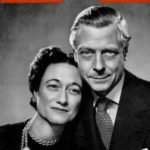 The Queen died at the age of 70. 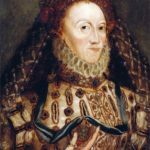 Elizabeth named Mary Stuart’s son, James VI of Scotland, as her successor.